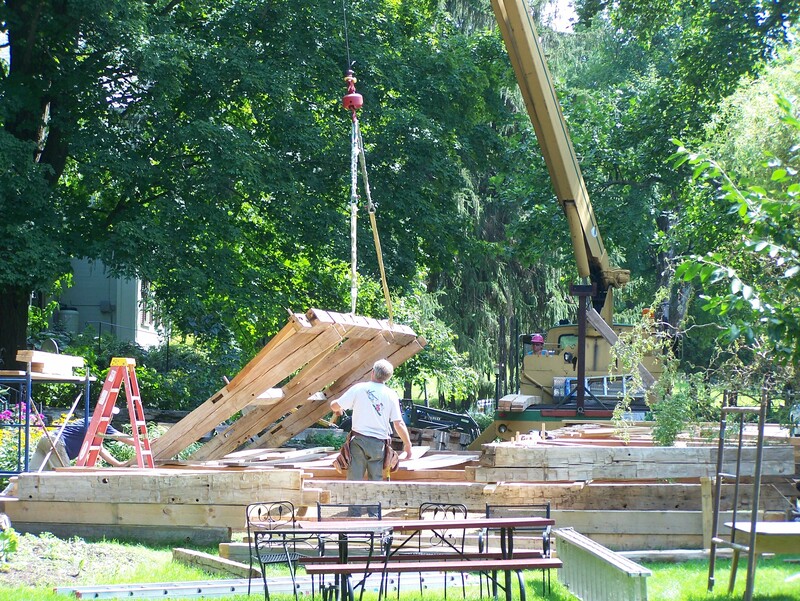 After a lovely sojourn at Sissy’s Restaurant here in Middletown Springs, VT, it was time for this beautiful historic gunstock timber frame to be taken down and moved to its new home. 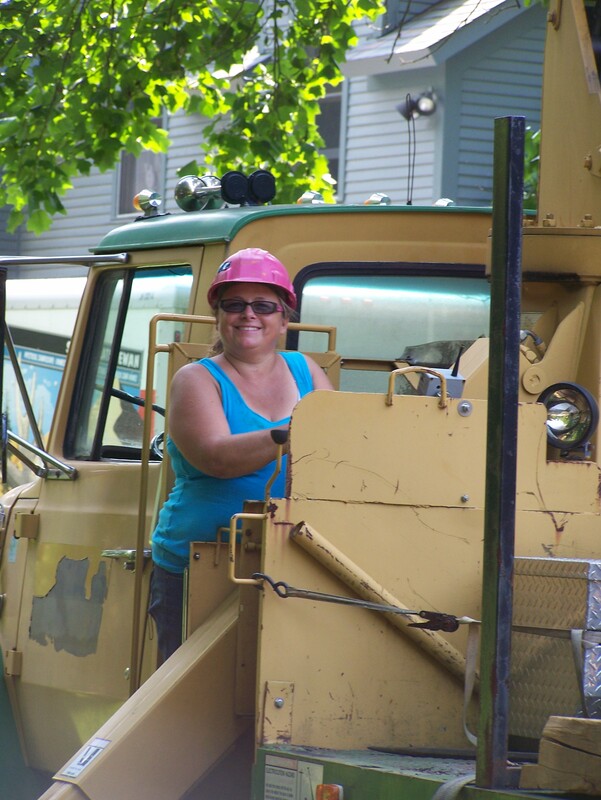 With help from Sue – otherwise known as the Vermont JeepGirl – the crew here at Green Mountain Timber Frames worked carefully to take down the frame, piece by piece. 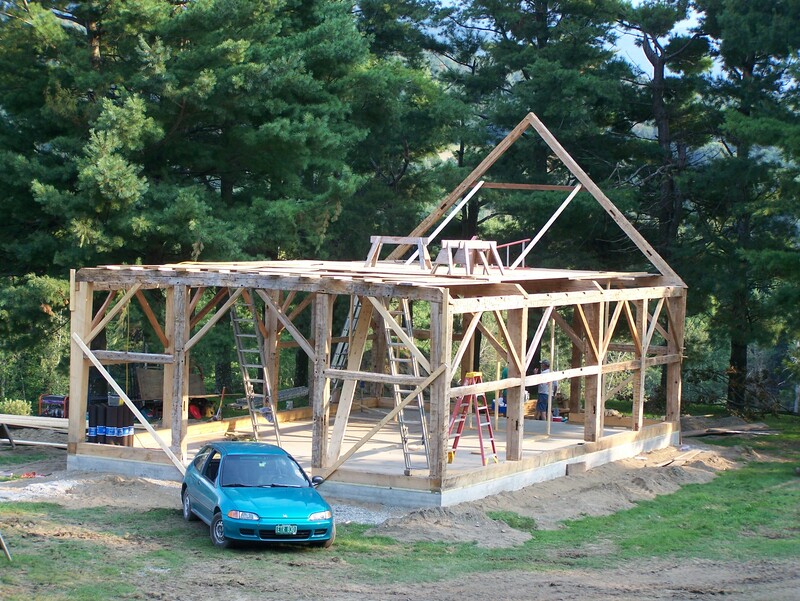 After carefully dismantling this Vermont post and beam frame, we moved it to its new home where it will become the framework for a beautiful timber frame barn. Once the frame was taken down, we moved it 120 miles to its new home where it will stand the test of time for another 250 years – or more. 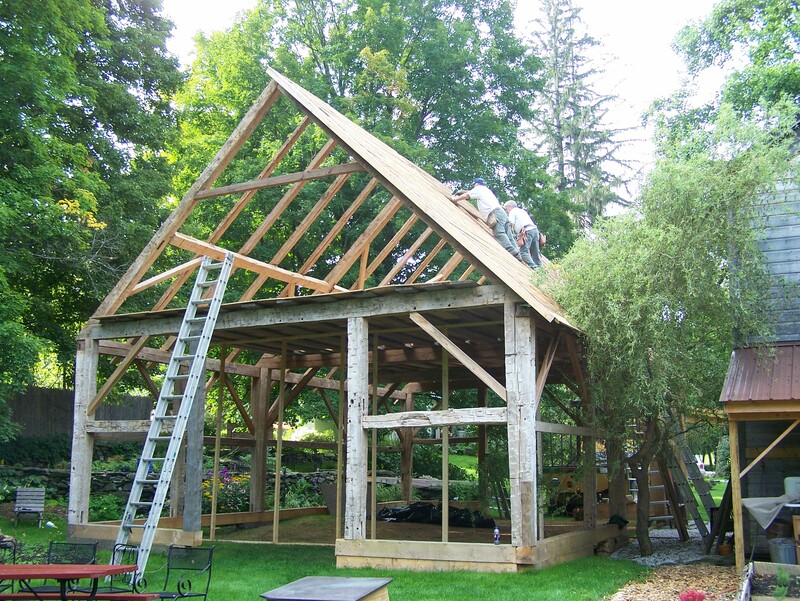 Our small crew of 5 guys worked a total of 300 hours, beginning work on a Sunday at 4 pm and finishing this fine timber frame barn on the following Friday. Since we were miles from home and our friends and family, the team worked from dawn to dusk to finish the project, carefully joining the historic beams back together. We were lucky enough to have weather on our side. With only one afternoon downpour, we all came home a little tanner. The finished timber frame will have a copper, standing seam roof which should protect the barn for about 100 years. 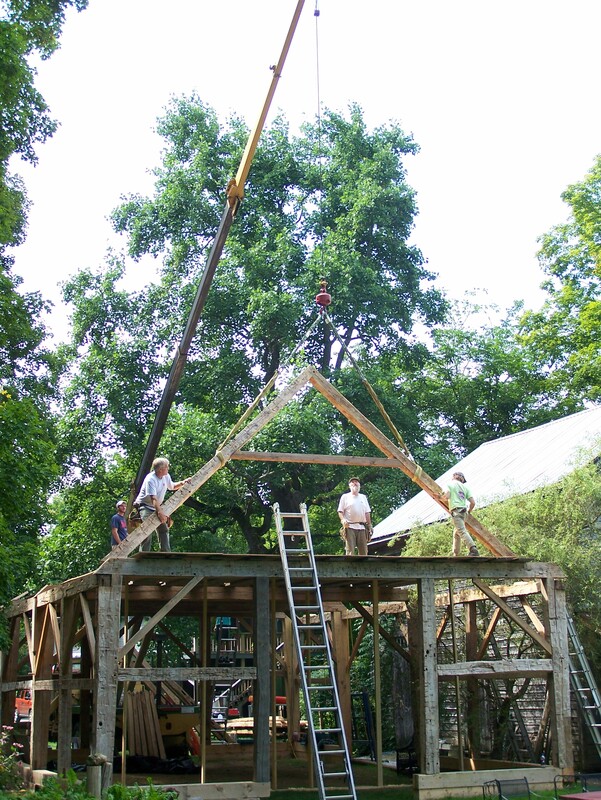 The Newly Raised Barn – to stand another 250 years! If you are interested in a timber frame barn homes or in seeing one of the old barns for sale at Green Mountain Timber Frames, please contact us! 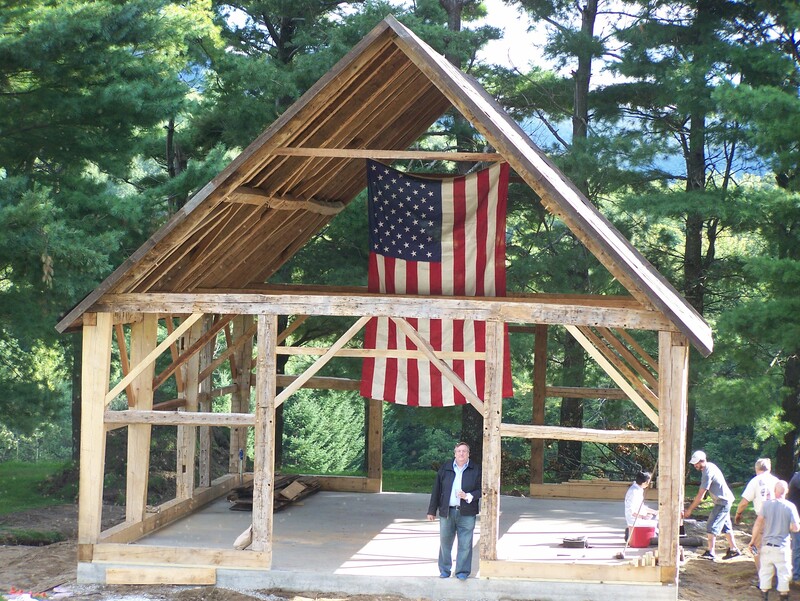 This entry was posted in Green Mountain Timber Frames, Middletown Springs, Vermont, Post and Beam, Sold Timber Frame Homes, Timber Frame Projects and tagged American heritage, barn houses, barn raising, Green Mountain Timber Frames, gunstock frame, historic barn, historic New England, historic post and beam homes, old barn, Sissy's Kitchen, timber frame homes, timber frames, Vermont timber frame, vermont timber frames, vermont timberframe, vermont timberframes by Green Mountain Timber Frames. Bookmark the permalink.